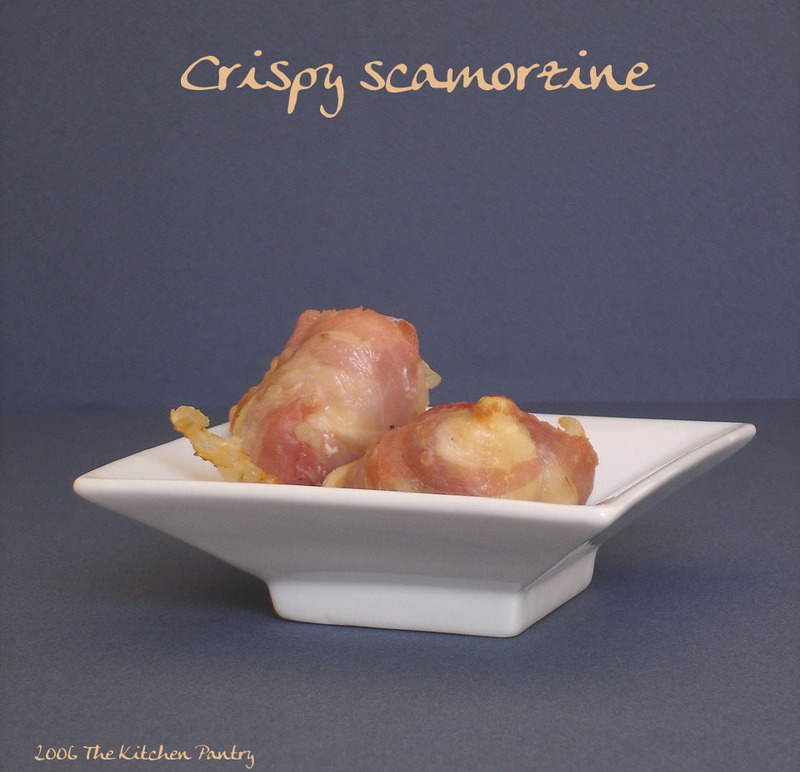 Just a quick and simple appetizer for an informal dinner: hot smoked mini scamorze (scamozine) wrapped in crispy bacon. Scamorza is an Italian cheese, either smoked or plain. It is made in the same way of mozzarella (both are stretched cow raw milk cheese), but has a dry and harder texture, not milky at all. You can substitute it with any firm cheese you like, but beware that it must have some kind of strong stucture, yet soft, to keep in shape while cooking under the grill. Take a mini scamorza, or a thick rounded piece of smoked scamorza, wrap it tightly in a thin slice of bacon and cook it under the grill of your oven until the bacon is crispy. Serve immediately. Ok, bacon AND cheese – my hubby and I love it! Thanks for introducing us to a new Italian cheese. We will look for it the next time we’re out.